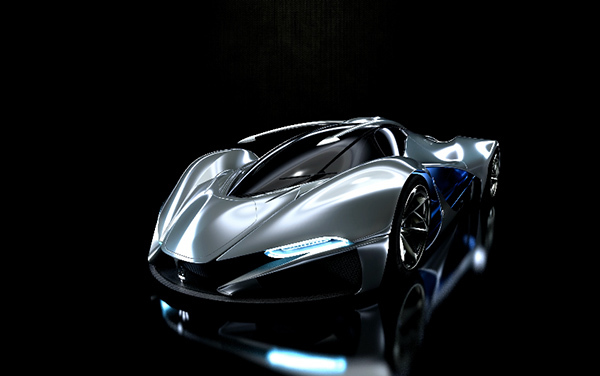 Overview: The Maserati “LaMaserati” is a concept flagship hyper car based around the LaFerrari platform. Utilizing the same V12 engine (but retuned with the KERS system removed to save weight), LaMaserati is designed to be the purest expression of the brand’s core values: elegant styling, striking presence and performance finesse. 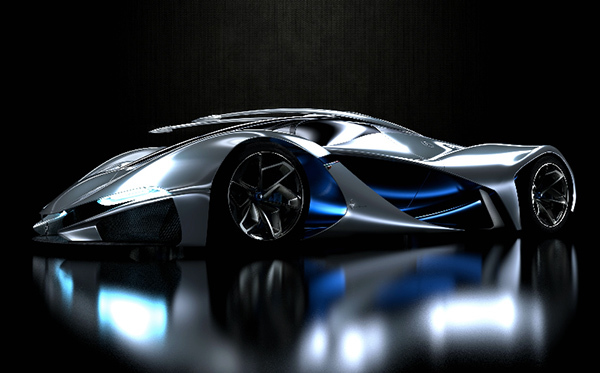 The concept is built around the LaFerrari hyper car much in the same way the Maserati MC12 was built around the Ferrari Enzo. The smooth curves, sweeping windscreen and aggressive front fascia along with the classic blue and white color scheme tie LaMaserati aesthetically to the brand’s range and the company’s heritage. The airflow inspired bodywork is designed with a focus on smooth, unbroken lines and fluid surfaces that wrap around the wheels to create a contemporary and dynamic aesthetic. With LaFerrari’s KERS system removed to save weight and the Ferrari 6.3l V12 retuned to compensate for the loss of power and torque, LaMaserati is geared more to the sensation of driving than the final performance figures. Lightness, handling and a more analogue driving feel take priority over power and overall speed.